integrate a number of components and activities – project activities include social needs assessments, identification of key community workers, capacity building, awareness raising, treatment, monitoring and evaluation. are carried out by our community workers in collaboration with the community members, primary health care workers, NGO partners and authorities at local and national levels. Cambodia is still suffering terribly from hardship, poverty, socio-political upheaval and, above all, from trauma resulting from war and genocide. This burden affects Cambodians at three levels: Society/Community, Family and Individual. 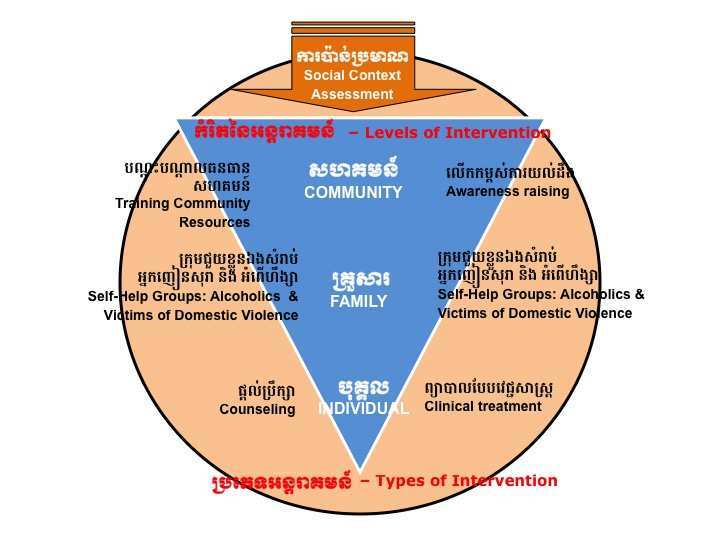 For our work, we always start with a social context assessment, after which we provide services and organize activities in the communities at each of these three levels. Looking at the make-up of the village during TPO’s Social Context Assessment. First we assess the needs within each community and begin to identify the most vulnerable groups amongst the villagers and other stakeholders, as well as the community’s resources, their strengths and the challenges they share. 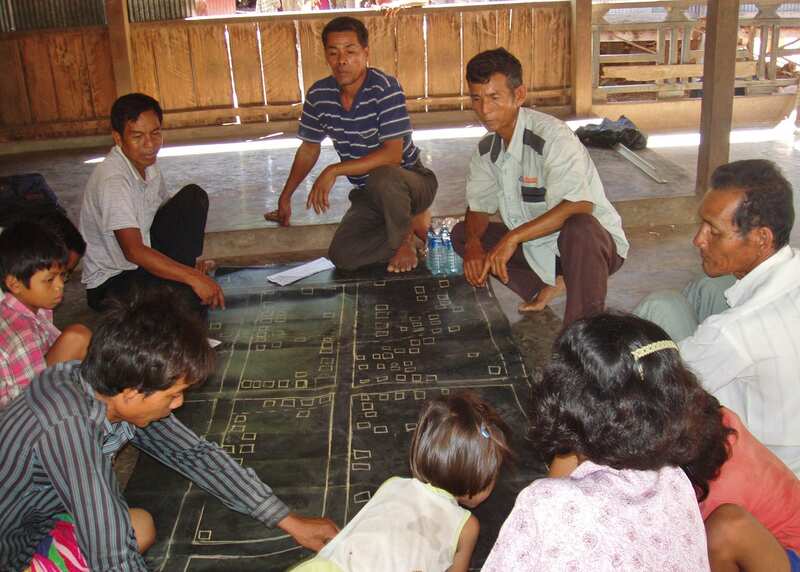 The assessment uses a Participatory Rural Appraisal (PRA) framework and is done in collaboration with the community. 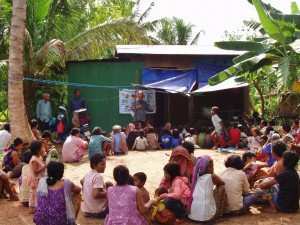 It helps TPO staff and the community understand more about the current situation of the village and build relationships with local authorities, key stakeholders and community members. It provides the basis on which the program and intervention strategies will be developed. The various types of activities will target the various levels of society (individual, family, community). TPO reaches out to community members, particularly those with influence who provide existing key relationships and roles within their communities such as village leaders, community elders, monks and nuns, traditional healers, village health volunteers, village development committees, and others who express an interest in taking on a role as a key mental health resource person. TPO provides them with the basics of psychosocial education, intervention and referral. They are taught mental health first aid and provided with opportunities to facilitate self-help groups under the guidance and supervision of TPO staff, until they are able and confident to take on the roles with greater autonomy. The key resource people are essential to the success of our programs as their collaboration with TPO ensures the program reaches the most vulnerable groups drawing on their knowledge of the community. This approach has proved to be effective and sustainable in terms of building the capacity of the local resources and empowering the community to help its own people. Public Awareness Raising event by TPO Cambodia. Raising public awareness about mental health is one of the key elements in the prevention of mental health problems and in the promotion of mental well-being. TPO conducts community-based public awareness-raising activities about psychosocial problems such as alcohol abuse, domestic violence, and the causes of mental health issues. TPO conducts such activities in the communities, pagodas, schools, and other public places. TPO also uses radio broadcasts. We also have a wide range of information material for distribution to the general public, including posters, leaflets, and banners. Self-help groups have proven to be a very successful and cost-effective method of helping individuals find ways to solve problems and overcome shared issues, and to cope with emotional stress. TPO trains key resource people who facilitate self-help groups in the communities. TPO’s trained and experienced counselors provide face-to-face counseling to individual community members who are in need of additional support or suffer from mental health illness. Many of our programs also operate a Hotline through which a TPO counselor can be reached when not present in the community. If required, TPO provides individual community members with clinical/psychiatric assessment and treatment. TPO counselor providing individual psychological support.